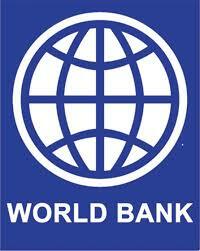 WB provides 266 million US dollar concessional loan - Integration Through Media ....! KATHMANDU: The World Bank (WB) has agreed to provide concessional loan of 200 million US dollar under the First Programmatic Fiscal and Public Financial Management Development Policy Credit (DPC) in budgetary support and 66 million US dollar for Rani Jamara Kulariya Irrigation Scheme. The loan proceeds available under ‘Development Policy Credit’ will be utilized in the sector of government’s priority through national budgetary system. This policy credit is tailored with prior actions of reform in fiscal and public financial management sector. The agreement remains effective until 28th February, 2019. The second agreement signed today is for Rani Jamara Kulariya Irrigation Scheme II which envisions modernizing irrigation system and strengthening the water user’s associations committees and agricultural production support.